Five copolymers noted cop 1, cop 2, cop 3, cop 4 and cop 5 are theoretically designed. Each has a D–π–A architecture based on triarylamine used as a donor unit D for its high charge carrier mobility and its excellent stability, and five heterocyclic acceptors A with high carriers mobility. The aim is searching narrow band and high efficiency donor materials for organic photovoltaic cells. 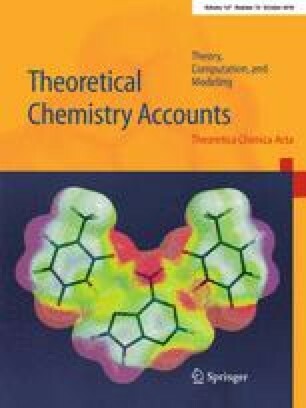 Using density functional theory DFT and time-dependent density functional theory TD-DFT, molecular orbitals, electronic and optical properties, exciton binding energies and charge transfer process are all predicted for all copolymers. The results show that all copolymers can be used with (PCBM) to design organic heterojunction photovoltaic cells. While comparing the various copolymers, we have noticed that cop 2 and cop 5 show the best optical properties, exciton dissociation and holes transport capability is more favorable for them, which improves short-circuit current (Jsc) and a fill factor (FF). Finally, the power conversion of composites involving cop 2/PCBM as well as cop 5/PCBM, respectively 8% and 9%, provides their efficiency. These results demonstrate that cop 2 and cop 5 will be two promising candidates for organic photovoltaic performance devices. We would like to thank Pierre Girard for technical support in the context of the Grenoble Centre d’Experimentation du Calcul Intensif en Chimie (CECIC) computers used for the calculations reported here.